Halloween is a wacky holiday that brings out everone’s creative side. I love seeing all of the costumed characters that come to our house for treats. I also look forward to carving jack ‘o lanterns and smelling that familiar pumpkin scent. 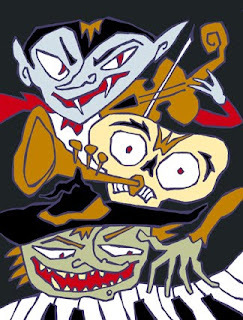 This is an illustration I did a few years ago for the Utah Symphony’s annual Halloween concert for kids.